Competition is a notoriously complicated animal and if done correctly it can foster a more affordable and dynamic market. But equally there are times when it may have the opposite impact, which is something we’re starting to see in the TV content market and if left unchecked there is a risk that it may push consumers into the more accessible arms of Internet piracy. Until a few short years ago there was no denying that Sky (BSkyB) held near absolute dominance over premium TV sport and Movie content, which caused some frustration with consumers due to the lack of alternatives and the high price of Sky’s packages. On the other hand it was easier to pick a single package that could give you nearly all the available TV shows and content. But since then much has changed. Firstly, we’ve had the introduction of Internet video streaming services like Netflix, Amazon Prime and Sony etc. Many of these services don’t just provide a nice combination of old or new-ish Movies and TV shows, but they’ve also branched out to create TV series of their own (Netflix is probably the best at this, thanks to ‘House of Cards’ etc.). In response Sky has extended their TV services into the same market by launching NOW TV. On top of that we’ve also seen BT TV enter the fray in a big way by splitting Sky’s hold over TV Sports rights and they’ve also scooped exclusive airing rights for some other big shows, such as ‘The Walking Dead’ spin-off series (here); previously this would have been Sky’s domain. The advent of all these new legal services is also perceived to have helped combat online piracy, such as by providing greater accessibility, affordability and choice of content. How the above changes impact you depends very much upon your outlook towards TV shows and related content in general. If you’re not a heavy user of such media then you simply won’t care, it’s not relevant and indeed you’d probably rather be out at the pub or doing something else. On the other hand a lot of people enjoy watching Sports, Movies and or specific TV content on their various devices, but in all likelihood a growing number of those who fall into this category may have started to become frustrated at the ever increasing fragmentation of the market. We can summarise two of the UK’s biggest issues simply enough. 1. BT and Sky have pushed the price of Sporting TV content upwards by conducting a bidding war (here), which means that some prices have risen and thus the most prolific TV sport consumers now need to take out two subscriptions with different operators in order to ensure that they can access all the content. The result is a more expensive and confusing service proposition. 2. The splintering of popular original TV shows and or TV Channels between different networks / platforms, which each have their own subscription fees and limitations, is also a growing factor. A lot of people subscribe to Netflix and enjoy their exclusives like ‘House of Cards’, but if you want to watch that on another network or service then you’ll struggle to find one (Netflix maintains a lot of control, as do the other providers). Likewise it’s hard to find the popular SyFy and other TV channels on streaming platforms. In short, some consumers might find that they have to take out a subscription with several operators / services in order to receive the content they want and so instead of saving money this can actually work out as being more expensive (depending on what you want), not to mention the frustration of having to juggle all those different services and related kit. NOTE: Amazon Prime subscribers also get access to the free unlimited One-Day Delivery service and Music streaming, which is handy if you make a lot of online purchases through their shop. The result is that some consumers may in future start to miss the old days, back when many complained about Sky’s dominance and having to pay a single subscription fee was all you needed. However increased competition always has its pros and cons, which tend to evolve with time and so eventually the market might find a balance. Meanwhile there are also plenty of positives with today’s market, not least with the much more effective use of Video-on-Demand / Catch-up TV systems and the fact that if you only take one or two services (e.g. Netflix and NOW TV) then you’re probably paying less and still getting a good amount of content. As such today’s TV feels a lot more personalised to user tastes and can be taken almost anywhere you go, which is a good thing (well.. except for Netflix moving to clampdown on VPN usage). Likewise until recently it wasn’t possible to watch the first airing of a new series, such as ‘Game of Thrones’, at the same time in the UK as the USA. But today you can do things like that (not yet available for every show), which is a big improvement over the old days when waiting weeks, months or sometimes even years for the same series to arrive over this side of the pond was still normal. However one of the dangers in all this is that the content producers and TV operators risk alienating audiences through excessive product fragmentation, which could perhaps ironically undo much of the good work that has been done in recent years to pull Internet users away from piracy. Similarly we’re already seeing the market settle into an annual pattern of price hikes, which has a much more noticeable impact if you need to subscribe to several different services. Price is of course one of the most sensitive factors when it comes to piracy, since past a certain point consumers will become resentful and may even turn away from legitimate sources. Anybody who knows the basics of how to keep their Internet connection private can easily gain “FREE” access to the latest TV shows via pirated content on P2P (file sharing) networks, as well as any number of other web based or other methods, and all without much fear of enforcement action. Rights Holders struggle to fight this sort of abuse because it’s both difficult to track and to identify the offending individuals (e.g. Internet connections are often shared), not to mention the problem of taking enforcement action once you have a suspect (weak evidence). As ever the best solution is to instead improve the legal sources of such content, although this is a lot easier said than done. * End device segregation and make the content more accessible across different platforms. For example, you can’t get Amazon Prime, ITV Player and or NOW TV on all streaming capable devices (sometimes commercial disputes get in the way and other times it’s an issue of technology capability or investment). * Keep price increases to a minimum, as opposed to annual hikes that shoot well above inflation (admittedly this is hard to do when shareholders expect to see profits rise year-on-year). * Make Sport and Movie licensing more accessible through a much more open wholesale model. Sadly it’s difficult to see the big rights holders going for this approach, especially while they enjoy the certainty of high income that comes from the current model of auctions and exclusive content deals. In a bidding war those with the deepest pockets win the most content, but consumers pay via higher prices. * Improve content licensing so that UK video providers can more easily show content from other countries. 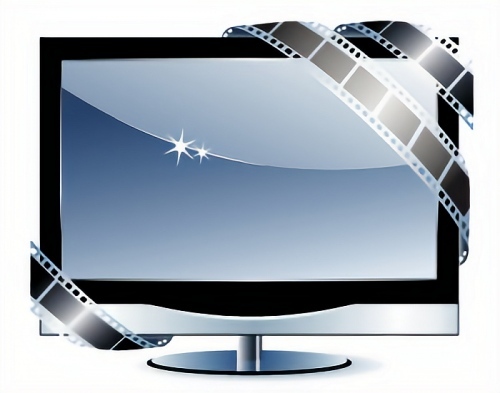 At present if you want to watch a popular TV show from France then you have to visit a French website and even then you might struggle to access the content without a French IP address. The good news is that EU law may soon try to correct this problem. * Make it easier to access the latest cinema releases via all streaming services, such as by ensuring that all of the latest film releases become available on streaming platforms much more quickly. Admittedly there’s the risk of hurting cinema releases if this delay is too short, but something needs to change as fewer people go to the cinema today anyway because many of us have better quality big screen TV’s and sound systems at home. Personally I’d watch a lot more if I could view the new releases at home. In the meantime the existing selection of services seems to be getting the job done and at fair prices, but we can see some of today’s concerns growing in severity over the coming years and that’s something that the video streaming, TV content industry and market regulators (Ofcom) should definitely keep an eye on. Naturally we’d be interested in seeing what our readers’ think of the new market for streamed TV and Movie content? Feel free to comment below. I’m surprised that Amazon has gone for the year up front fee model. £79 does seem quite steep. Even with the free shipping. I could perhaps buy two or three box-sets that I really want for that. On the other hand £6 to £7 per month doesn’t seem like very much, less than one DVD per month. But when I look at new series I’m not seeing a lot of “must see TV”. Clearly I don’t gave access to flip through these things, but there’s only one “Breaking Bad” every decade or so. Rather than mindlessly sitting through TV for the sake of watching TV I’d rather concentrate on good things and not necessarily the “very latest stuff”. “Fear the Walking Dead” is a sad failed attempt to reboot a dying (!) franchise which ran out of ideas in the original series by the end of the superb third season and is largely dull and pointless. If I’d signed up to a subscription to watch that I’d be pretty disappointed. Amazon Prime is available for £7.99 monthly with full prime benefits or video only for £5.99. Personally this doesn’t affect me, I’m not a huge sports fan(perhaps beyond a rugby union international), and I’ve long since become jaded by drama, how many basic plots are there -seven? The main things I watch are news channels, political programmes, and the odd science documentary – nobody is charging for that content … yet. I am dumping Sky due to the price rise which they have already inflicted on me. I only watch WWE and I can get that from the WWE network for £9.99 a month. Movies, there are a few good ones but even a monthly cimena pass would be cheaper. I can get what I need at around £40 a month less. That’s if I chose to do things legally. Anyone with half a brain years ago could see what would happen, a more fragmented service having to subscribe to multiple providers to get the shows you want. So, when do we get rid of the TV Licence, then?